For doctors and those in the medical field, Snapchat might not seem like the most ideal social media platform to invest in. The most obvious reason for this is that the majority of Snapchat users don’t suit the target age demographic of medical or health centers or practices. However, that shouldn’t discredit Snapchat’s powerful influence. This media sharing app has surpassed other monstrous social media hubs that came before it, like Pinterest, Twitter and LinkedIn. Snapchat has only been around for 5 years, but it has become the country’s second favorite social network. By assuming that this simple tool won’t garner any feedback or leads is to undermine the power of recommendation and to blatantly ignore the younger generation that has a valid interest in your work or practice. How can Snapchat Benefit You? If you could gain a wider following by using a cost-free tool, would you do it? Yes? No? It depends? You might think that just because you aren’t honing in on your specific demographic and audience, that this will gain little to no benefit. However, if you can create a truly educational, informative, interesting and entertaining Snapchat account, then you having nothing to gain but benefits. 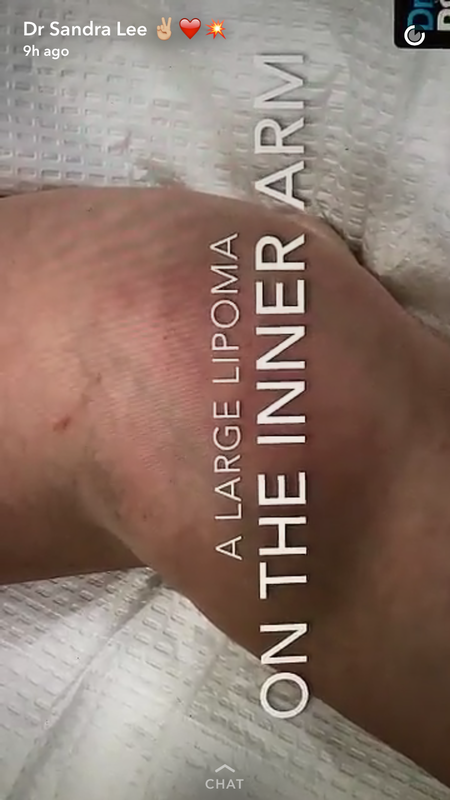 Dr. Sandra Lee, aka Dr. Pimple Popper, performs an extraction on a large lipoma. Those on Snapchat probably don’t have much knowledge on what it is you do and what takes place behind the scenes. They might have heard of X or Y procedure/treatment, but have they ever seen it performed? In an odd way, medical practitioners have the chance to capitalize on streaming somewhat grotesque and cringe-worthy procedures. Take Dr. Sandra Lee for example, also known as Dr. Pimple Popper. Dr. Lee is a certified dermatologist who has gained a massive following on her social media accounts for documenting cyst, blackhead and pimple-like extractions. We all know that these medical or aesthetic treatments happen every day, but it is rare to see them uncensored and broadcasted. Even if your treatment doesn’t appeal to the grotesque (like chiropractic care for instance), there is still a level of entertainment in seeing how it plays out with a real patient. Your audience gets to skip all the bland explanations of how it’s done, and they actually get to see it being done. Not only does this “live” demonstration educate them and help them understand your work better, but it also defines you as the expert. 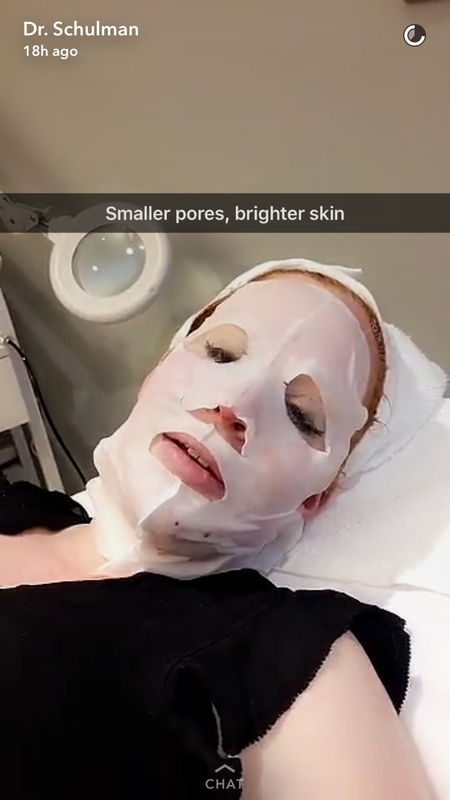 One of Dr. Schulman’s (nycplasticsurg) patient’s receives a dermaplane chemical peal and mask. This is your chance to build up the ultimate portfolio of social proof. If you can do live demonstrations, show and tell your work and share it with your audience, then you give them little reason to doubt your expertise and knowledge. And in this sense, it doesn’t always have to be a procedure that you’re demonstrating. You could be highlighting a new machine, technology or product. The great thing about Snapchat media is that it can also be saved to your mobile device and shared through other applications as well. So if you happen to catch something impromptu on film or camera that will help other areas of your social media marketing, then you have it ready for your disposal. By demonstrating your expertise, you also incentivize your audience to speak for you. If you create noteworthy content or share interesting facts, tidbits and/or promotions, then your following will purposely or inadvertently share your content, name and brand. People love being bearers of good news – so aim for interesting and helpful “snaps,” because those are the things that people will share. Your Snapchat account also serves as a discussion forum for potential clients. Those who are unsure about treatments or procedures will be able to get to see a snippet of it through you. They have a chance to send Snaps back to you, ask you questions, react and get a better understanding of what they may potentially be going through. Not only that, but people will get to see you in your element. They want a doctor that they can trust and like, and your personality has a unique way of showing itself through these snaps. By taking on Snapchat, you’re letting your audience get behind the scenes to be educated and informed. At the same time, you’re giving yourself the chance to build your own expert status and build a wider reach and following. As a free tool, the only investment you’re putting into Snapchat is a miniscule amount of your time. Whether you’re a pain management doctor, a chiropractor, a dentist or a cosmetic surgeon, it can work for you. If you’re ready to take your practice to the next level, build authority, become a celebrity in your town, and build a 7figureclinic and beyond, then you need to get in touch with me. I’m currently taking on a few private clients right now. It’s been almost 12 months since I’ve open up space in my 7figureclinic growth system and it won’t be long until the few spots I have are filled up. Complete the application here to see if you qualify.